At every link of all this chain there are prospective farmers, traders, brokers, manufacturers, designers, consultants, distributors, sellers & buyers, whose interaction creates Grain Tech Market for Middle East and Africa. GrainTech is our annual event that convenient the field of Mills, Bakery, Pastry , Silos , Fodders, Pasta Equipment & Rice Mills and Packaging Machines, GrainTech is the important event for Grain Industry in Africa & Middle East .The biggest brands of world milling machines sector are preparing themselves to present their latest developments in this fair. 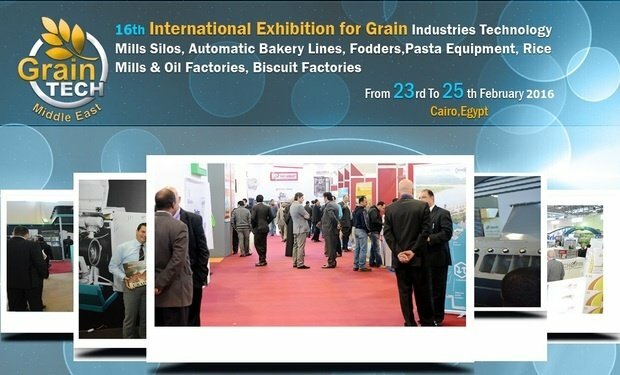 World milling sector being in the first place, all representatives of Mills , Silos , Automatic Bakery Lines, Fodders , Pasta Equipment Rice Beaters & Oil Factories, are counting the days for GrainTech the most important international meeting point of the sector, which is held in Cairo , Egypt every year.